We are pleased to announce the new Partnership Program at RWS Moravia. Through this program we will develop an ecosystem of partnerships to reinforce and expand our expertise and capabilities in providing globalization solutions. Our goal is to become a more robust, forward-looking service provider capable of delivering any solution or technology that will help our clients go global. This is a proactive approach to solutions and services development, and our potential partner candidates will share this entrepreneurial view. The localization landscape is changing more quickly than ever. Factors include rapid technology developments, ever-transforming means of communication, massive volumes of content and the need for instant deployment. And as the ways to reach consumers around the globe transform, so do our client’s needs. This means that the day-to-day business has to evolve, and we see this as a unique opportunity to grow. In this dynamic environment, we have determined that the best way to meet client needs is by complementing our core competencies with the right partners. To this end, we will work with innovators to improve and speed up service development so we can provide holistic, robust, enterprise-class services and solutions to our clients. Our clients remain the priority, first and foremost. Through our Partnership Program, we are reinforcing our business’s ability to meet their needs today and in the future by providing the right services and technology, and by ensuring the reliability and quality of those services. By aligning our long-term goals with key partners, we are focusing on scalable solutions that can be deployed across our client base. However, it’s also our goal to offer the benefits of new solutions with more agility—the right solution at exactly the right time. One specific aspect of this is that we will continue to grow as the leading integrator of technology to provide our clients with better, faster, higher-quality technology solutions. This is also about differentiating ourselves in a crowded landscape. We will add even more value to our clients by aligning RWS Moravia’s expertise in operationalization with innovators in the field—and this differentiates us from our competitors. Through this program, we will standardize our approach to analyzing and incorporating cutting-edge services and technologies to resolve a wide range of globalization challenges. We will go beyond today’s localization technology and services by pioneering ideas and solutions that we can offer clients to drive their global growth. 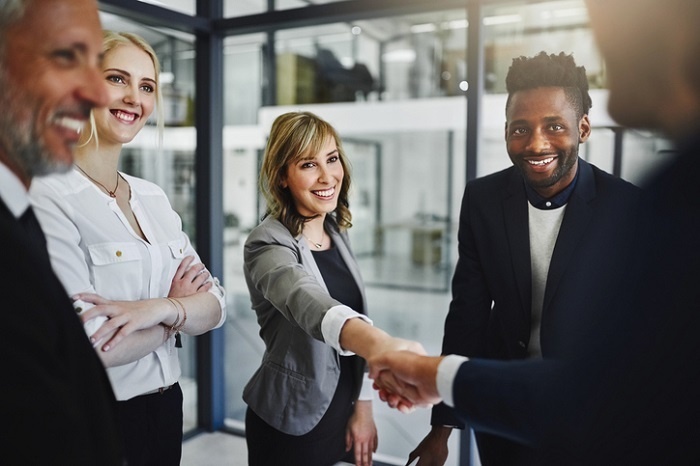 We are actively seeking valuable partners who will explore dynamic ways to offer global businesses solutions and services that will help them better connect to their customers worldwide. This program is not limited to suppliers. We are looking for partners in academic areas related to globalization, technology or any other organization that can help us generate more value for our clients.